December 3rd through 9th marked National Computer Science Education Week and as a result, students in classrooms across the state, nation and world participated in what is known as Hour of Code. During Hour of Code, students are exposed to a variety of coding activities designed to engage novice coders, as well as advanced coders, thus demonstrating that anybody can learn coding basics and encouraging greater participation in the field of computer science. Students in all four of the Lexington Three schools participated in Hour of Code activities and even had the opportunity to collaborate with students from neighboring schools. For example, many B-L Middle School students traveled to B-L Elementary School to code with students in the media center. B-L High School hosted a Coding Playground for its students, allowing them to engage with many different coding platforms. The district’s youngest students at B-L Primary School also got to join in on the fun with coding tools such as Scratch, Jr., an application where students can program their own stories and games. 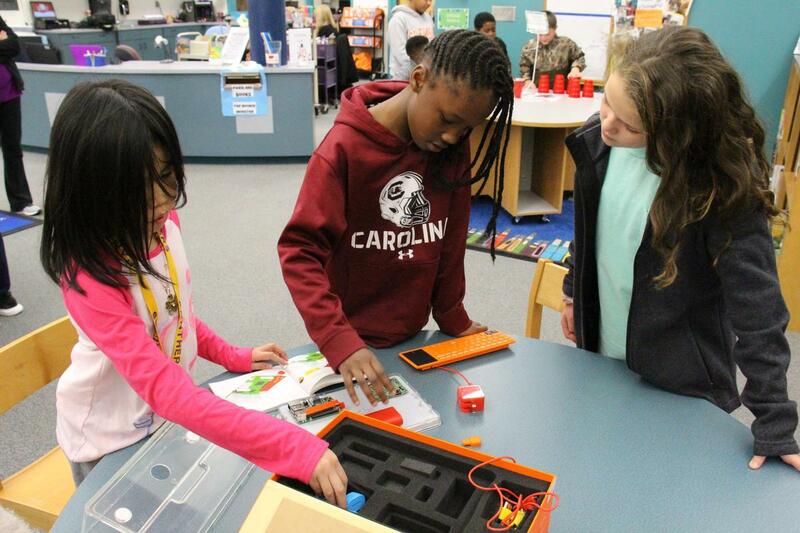 By using coding platforms like mBots, Ozobots, Dot and Dash, OSMO, Kano, code.org, Cubetto, Legos and a variety of unplugged coding activities, Lexington Three students practiced invaluable critical thinking, problem-solving, and collaboration skills all while learning to be active creators, as opposed to simply being consumers, of digital content. While the Hour of Code Week is a special week to celebrate coding and computer programming with students around the world, Lexington Three students are very fortunate to have access to these types of activities and materials throughout the entire school year via the media centers and digital coaching staff.